Cool Earth is the fastest leading aircon servicing company, backed by our professionals with more than 18 years of experience in servicing air conditioners for residential and commercial clients all around Singapore. Every member of the Cool Earth team have strong experience in aircon servicing, maintenance, installations, chemical wash, and repairs. For utmost convenience, you simply give us a call, with details of your concerns and exact location, our team will right ready to serve you the soonest time possible. Cool Earth offers everything you need with regards to air conditioner services. See our best value packages we made for you. Compressor not running, water drips from unit, noisy fan operation, evaporator ices over or unit not running? We are ready to help. With professional experience from standard methods to any variation to install your AC unit in HDB flats and private properties. Air conditioning is essential in everyday living for people in Singapore. Consequently, due to the frequent use of it, machines are more likely to get regular maintenance to ensure the fan coil units in optimal condition. Cool Earth offers everything you need with regards to air conditioner services. 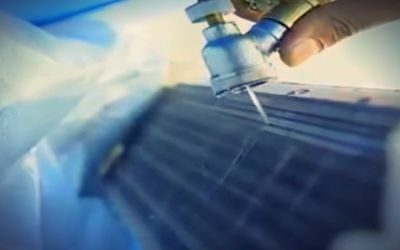 Chemical cleaning is a process that involves the use of chemical-based cleaners to restore and recondition your air conditioner. Maybe, you have been using your air conditioner for 3-4 years now without experiencing any problem, furthermore without doing any proper maintenance throughout those years. 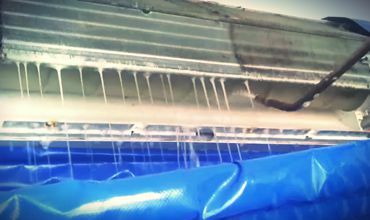 This scenario allows your air conditioning unit to gather dirt, oil and dust in several parts. This solution requires dismantling the electronic control and fan coil of the unit. Subsequently, all parts of the aircon unit have to be carefully clean using a particular cleaning chemical that washes away the dirt and also sanitize the unit. This package comes with a 90 days warranty to protect our customer from spending more than what is necessary. We will perform thorough checking on all parts of the air con units. You will receive a comprehensive report. Depending on the result of the testing, some faulty mechanisms, chips or cable may require replacement. The cost for this service depends on the parts to be replaced. Regular maintenance and servicing are vital in keeping your air-conditioning system running smoothly, efficiently and economically in the long run. The frequency of maintenance depends on the usage rate of the unit and the surrounding environment. The longer the system has been used coupled with a dusty surrounding, an older air conditioner, will need multiple maintenance works in a year. Therefore, professional air-con servicing will be enough when your air-conditioning system has a regular maintenance schedule. 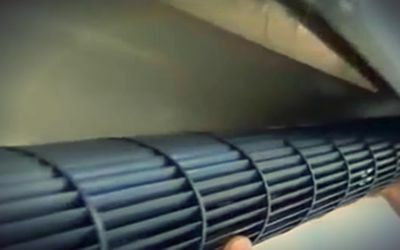 Sometimes your AC system might have a massive build-up of dust, and other particles on its heat exchanger fins which make it very hard to clean especially if you don’t have access to quality servicing or you live in a bad environment. Let us do your air-conditioning system installation. Our experts with unquestionable years of experience in air-condition services has more advanced knowledge in air-condition installation. Placing in proper location and systematically installing your air conditioner unit can make a very big difference. Choosing your air conditioning installed by a professional since the beginning allows you to save your money, time and avoid hassle from recurring air-condition problems in the future. Properly installed air conditioning will cool your room faster with less strain to the aircon unit, hence promoting longer life span of your cooling system. 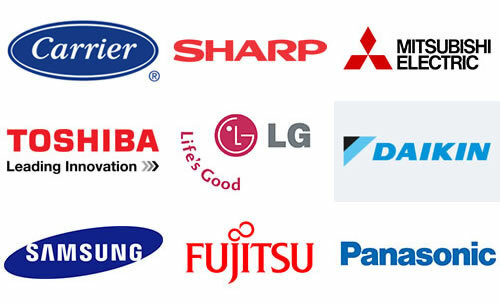 We sell all the top models and brands of air-conditioners. Our services include an ocular visit to the area to better understand the needs of your space and have a proper price quote for the air-conditioning system you need for the space you have. We take a step-by-step approach in installation to get it right from the start. We installs all kinds of air-conditioning units for both residential and commercial establishments. Our technician are trained for different models from the major brands sold in the market. Here is one stop service where we provide complete air-conditioner solutions and you just wait until the job is done. Set an appointment with us. Contact us now! No matter where you go, Cool Earth is the coolest, most reliable! I STRONGLY recommend Cool Earth to EVERYONE interested in servicing their air-conditioner! I will recommend you to my colleagues. Great workmanship, I will definitely be using again!. If you are in Singapore then you know it can get hot and that air-conditioning is a must in most parts of the area. The area is not only hot, but it also is very humid there. This is because there are a lot of rain storms that are caused by many factors including the fact that the area is close to the South China Sea. This is why it’s so important to own your own AC unit if you reside in Singapore. Not having a good AC is something to avoid if you live in the Singapore area where the climate is tropical. Do not worry too much! We’ll provide the best services that you can get in the Hougang area. Our team of experts will come out and work on the AC units you have quickly. They are licensed and experienced because they’ve been doing this work for many years. Our service area includes Ang Mo Kio, Bedok, Bukit Batok, Jurong West, hougang, Sengkang, Pasir Ris, Toa Payoh, Tampines, Woodlands, Yishun. We can do maintenance and/or repairs so that you know your AC is working right again. We want to give you top of the line services because we know that is what makes a customer want to come back to us time and again. Cool Earth is the fastest leading aircon servicing company. 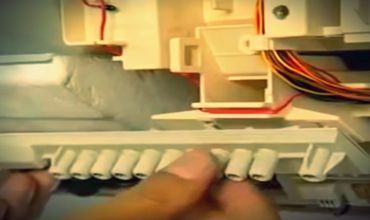 Our professionals come with more than 18 years of experience in servicing air conditioners for residential and commercial clients all over Singapore. We also Work on Public Holiday!